It is the time of year here when colors start to appear from the grey and brown landscape like confetti strewn along streams and parkways. 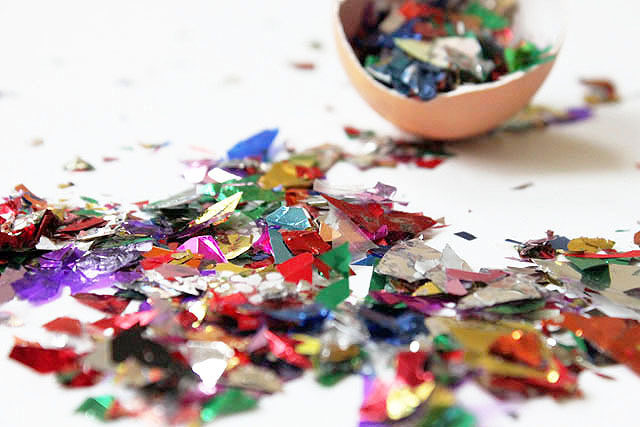 I had a bag of confetti left over from New Year’s Eve, so I put it use for Easter, a celebration of new life. 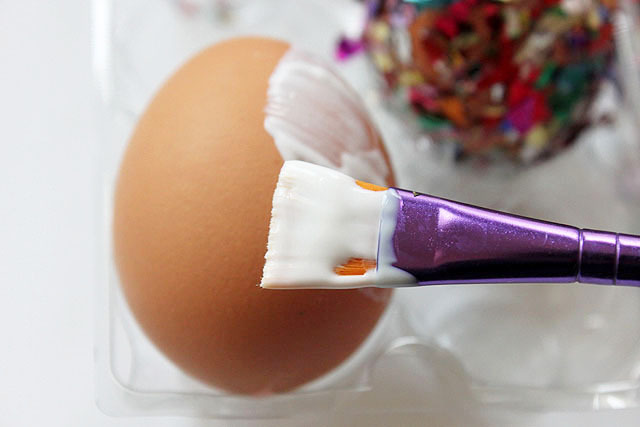 Originally I planned to cover my eggs on the outside until I learned about cascarones: eggs that are filled on the inside with confetti. Why not celebrate on the inside and the outside? 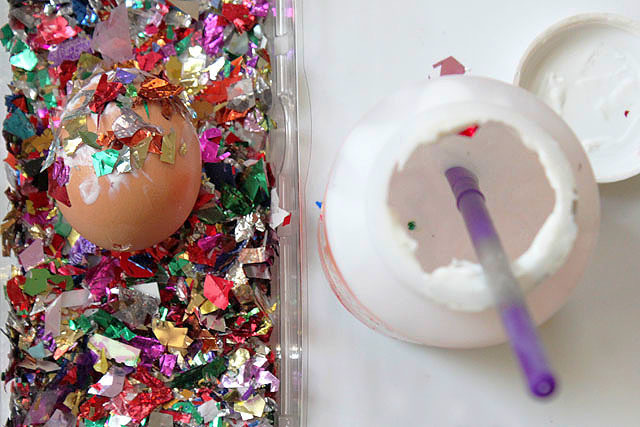 More fun: a game with Cascarones at Oh Happy Day! The story goes that having a cascarón broken over your head will bring good luck. 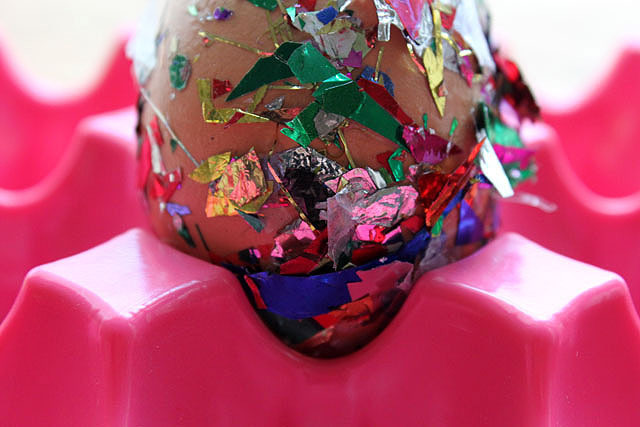 Depending on how much confetti coverage you get, you will have disco eggs, which calls for a little disco duck. 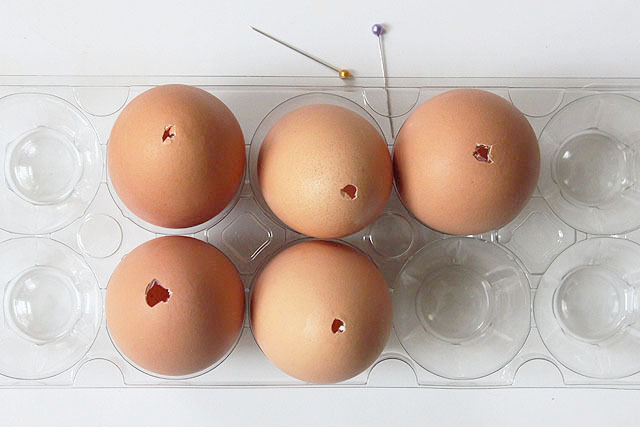 Blowing out eggs from last year… this year I made lime custard with the empties!